180 GRAM GREEN AND YELLOW VINYL - 500 ONLY LIMITED EDITION The best of the early singles by Bob Marley and the Wailers vol. 1. The partnership of Bob Marley and the Wailers in its short life would create what many consider to be some of the greatest reggae ever recorded. 180 GRAM GREEN AND YELLOW VINYL - 500 ONLY LIMITED EDITION The best of the early singles by Bob Marley and the Wailers vol. 2. The partnership of Bob Marley and the Wailers in its short life would create what many consider to be some of the greatest reggae ever recorded. Christmas comes early for reggae fans with this super deluxe box set of the original 7" 45 RPM singles produced by Bob Marley & The Wailers with Lee "Scratch" Perry! These historic recordings revolutionized reggae music and now fans can experience the magic in its original vinyl format, complete with vintage designed, large hole labels! Also includes a 7"x7" full color booklet detailing the history of each song contained therein PLUS a special custom vinyl adapter! 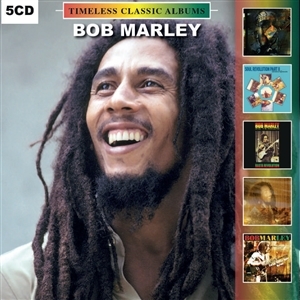 The ultimate collection including both a critical retrospective of the work of Bob Marley, that includes rare archive interviews and classic performances by a reggae legend plus a bonus CD that features a digitally remastered version of the highly sought after 1973 US live to air radio broadcast by the men who created and performed some of the most powerful reggae anthems in rock history. 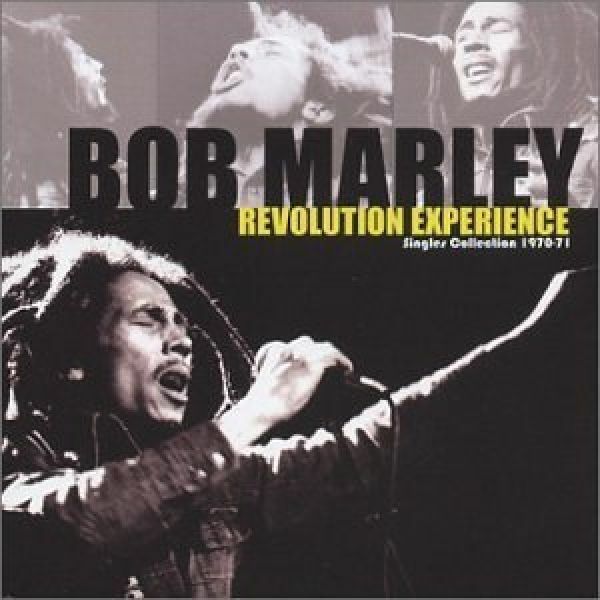 A historic compilation of Bob Marley tracks.-newly remixed and remastered from the original 1970 masters. Originally released on Trojan in 1974, it was essentially a re-release of the Soul Rebels LP from 1970, with a few extra tracks. This historic release marked Bob Marley & the Wailers first collaboration with Lee Perry and the true beginning of their musical and spiritual commitment to Rastafari. This is Bob Marley and the original Wailers (Peter Tosh & Bunny Wailer) long before they became international reggae superstars with Island. The tracks found here redefined reggae music, tracks like "Soul Rebel," "Duppy Conqueror," "Small Axe" never sounded better. The periode of the start of this legendary artist Bob Marley and the Wailers. Early year recordings, all the biggest hits, all taken from the mastertapes in Jamaica and mastered in Holland to provide the best audio for you. With a big booklet with exclusive pictures and the whole history of the man. 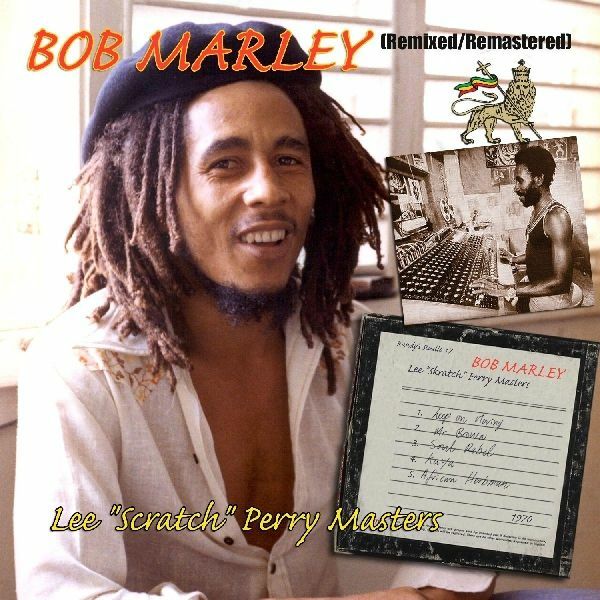 13 Marley classics remixed by today's producers and DJ's. Featuring among others, Sen Dog (Cypress Hill) and Kevin Haskins (Bauhaus, Love & Rockets). A must-hear single collection of reggae legend Bob Marley. Includes guest appearances by Bunny Wailer, Peter Tosh and two blockbuster remixes by Funkstar De Luxe. 2004: Rolling Stone ranked Marley No.11 on their list of the 100 Greatest Artists of All Time. Soul Rebel is some of his best and very hard to find work. A special limited edition double LP compilation featuring two 180 gram starburst colored vinyls packaged in a deluxe gatefold jacket with eye popping poster! Features some of the most groundbreaking reggae songs ever recorded including "Sun Is Shining," "Mr. Brown," "Small Axe," "Rainbow Country" and more! 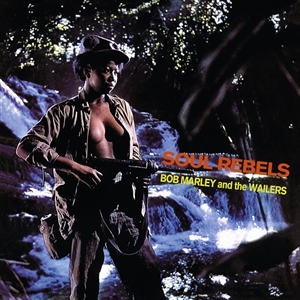 Easily one of the greatest roots reggae albums of all time, Soul Rebels resulted from the intensive partnership brokered by the group and maverick producer, Lee Scratch Perry. It was the first Wailers concept album, conceived as a long-player based on a rebellious theme, rather than a collection of isolated singles, and the presence of the Barrett Brothers in the rhythm section pointed the way for greater glories to come. The Wailers first formed as an unruly 5-piece in 1963, with Junior Braithwaite as lead singer and Beverley Kelso an early member, sometimes replaced by Cherry Green. During their long tenure at Studio One, Bob Marley gradually shifted to the lead vocal role and the robust core of Marley, Peter Tosh and Neville Livingston, aka Bunny Wailer, soon emerged as the mainstays of the group. Perry was involved with the Wailers at Studio One, using their talents for backing vocals on some of his solo work, but the partnership that yielded Soul Rebels was in an entirely different league. The title track, Toshs anguished "400 Years and "Corner Stone" are legendary for their intense power; "Its Alright" set the template for the later "Night Shift," "My Cup" was an individual barebones reading of James Browns "I Guess Ill Have To Cry Cry Cry," while the playful "Try Me" and "No Water" are suggestive odes. Toshs dejected "No Sympathy" and the spirited "Soul Almighty" are other winners and the "Cloud 9" revamp "Rebels Hop" is another joy. All killer, no filler! The very first recording session by Bob Marley, long before he became the international icon of pop culture we all love and remember, took place at Federal Studios in Kingston, Jamaica for local music producer Leslie Kong in February 1962. 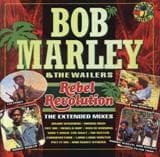 Two singles were released from that session both on the Beverleys label, the first credited to Robert Marley and the second to Bobby Martell. Both are collected here on this limited edition vinyl 10". 180 gram LP + Free bonus CD of the album. Although their collaboration lasted for less than a year, Bob Marley and Lee Scratch Perrys joint efforts in the studio resulted in some of the most memorable moments in reggae history. 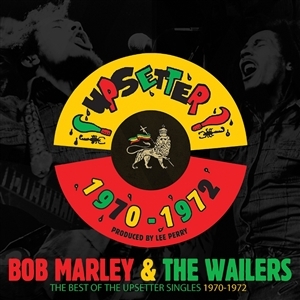 From August 1970 to April 1971, Marley and Perry-with the help of Aston "Family Man" Barrett on bass, Carlton Barrett on drums, Reggie Lewis on guitar, and Glen Adams on keyboards-worked together at Randy Chins legendary Studio 17 in Kingston, recording such classics as "African Herbsman", "Kaya", and "Duppy Conqueror", along with several dub versions.